A skilled, experienced cosmetic dentist can help to improve your appearance, your smile, even your self-esteem and confidence. Today, cosmetic dentistry has continued to evolve to where cosmetic dentists can address functional and aesthetic patient concerns. 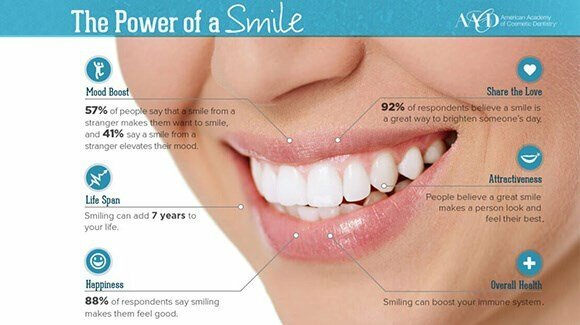 Learn more about the benefits of cosmetic dentistry. It may come as a surprise that cosmetic dentistry is not a recognized dental specialty. Any dentist can claim to be a cosmetic dentist, regardless of his or her experience and skill. The American Academy of Cosmetic Dentistry was founded in 1984 by Dr. Jack Kammer and co-founder Dr. Jeff Morley. A small group of dentists met to develop a standard for cosmetic dentistry and establish an organization dedicated to responsible esthetics. Over the past three decades, the AACD has matured into the world’s largest and most trusted organization for cosmetic dentistry. The AACD now includes more than 6,000 dental professionals, laboratory technicians, educators, and researchers from 70 countries worldwide. This global perspective allows AACD members to gather information from the international field of cosmetic dentistry. The mission of AACD member dentists is to practice responsible esthetics. That means helping patients as they maintain their oral health, function, and appearance for a lifetime. AACD dentists believe that beauty is more than skin deep, and that cosmetic dentistry should complement the overall general and oral health of the patient. As such, cosmetic dental treatment decisions are based on the foundation of evidence-based protocols combined with sound clinical judgment. Very few dental schools provide general education in cosmetic dentistry. Therefore, it is essential that a dentist pursue post-graduate training in cosmetic dentistry to master the principles. There are numerous, well-respected cosmetic dentistry education programs. The AACD provides ample learning opportunities for member dentists. Those dentists striving to be the best apply for Accreditation in the AACD, testing their skill through practical examinations and real-life case presentations. Learn more about the difference between an AACD member dentist and an accredited member. While we all feel we know a beautiful smile when we see one, there is no perfect smile. That’s because each person has a different perception of what is beautiful — you and your cosmetic dentist may even have a difference of opinion. So it’s important that you discover what you really like and then communicate that to your dentist. Learn more about what you should know before your first appointment. There have been great advances in materials used in the field of dentistry in the past few years, with crowns and bridges improving by leaps and bounds. Learn more about dental materials.